When you get a call work a job in the country you’re never sure what you’re going to get. 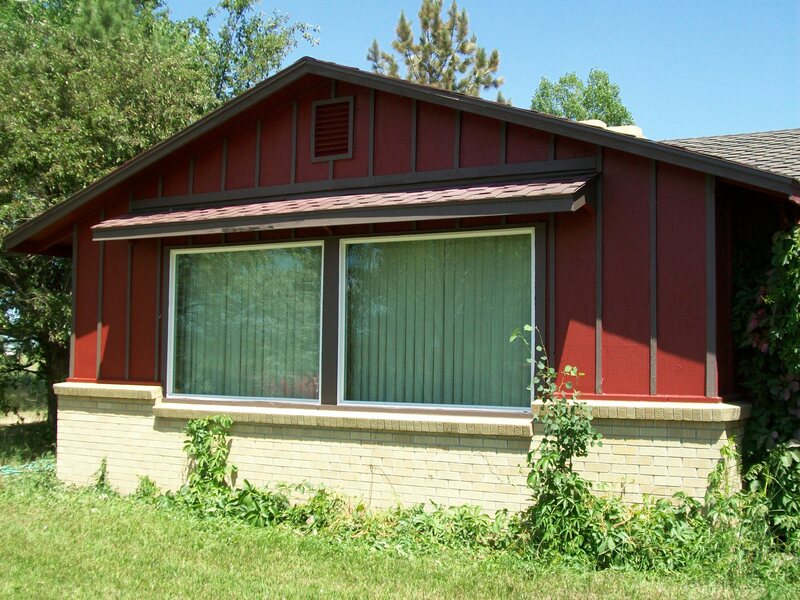 We were called recently to paint an old farmhouse in the Longmont area. the owner said up front that the place ‘needed work’ so you know you’re in for a treat. 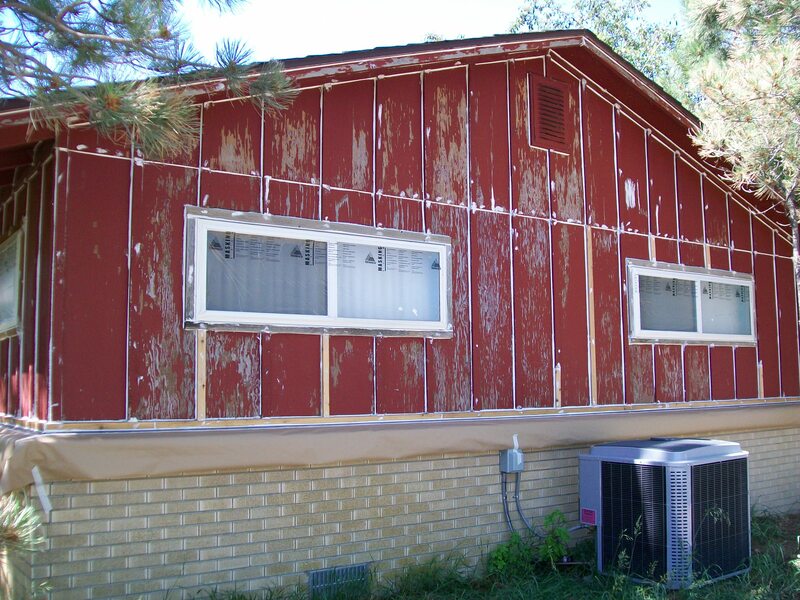 Upon arrival we find an old ranch-style home whose siding is 4×8 sheets of plywood with 1×2 slats running along the studs; and it probably hasn’t been painted in 25 to 30 years. 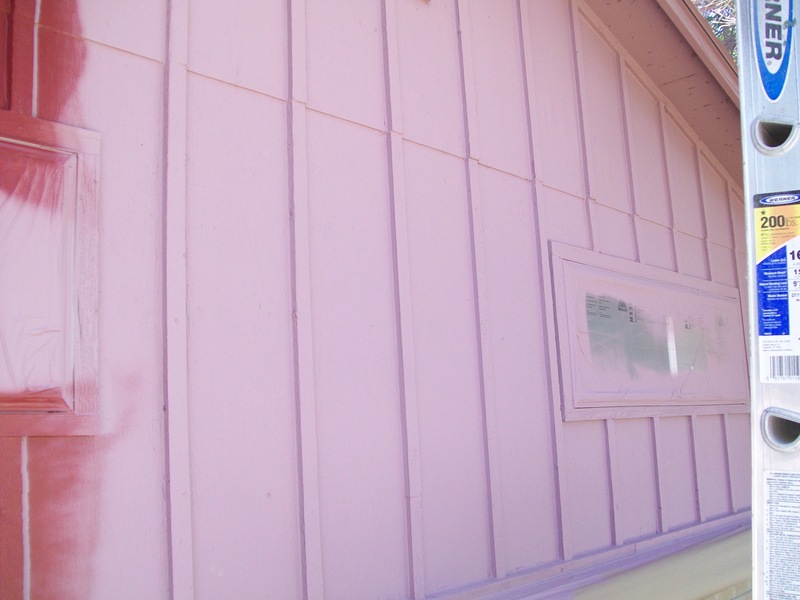 with the severe damage from catastrophic paint failure we primed the entire structure; and since it was going barn red we primed it as close as we could get – hot pink. Boy was Grandma (the occupant of the home – her son was having it painted) surprised when she walked out! We followed the primer with Benjamin Moore Regal series paint (since we were spraying we were able to cover in one coat) and finish with a brown for the trim. 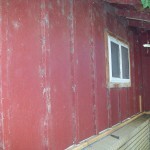 To break up the red field we painted the slats to match the trim. The result is a home any Grandma can be proud of!